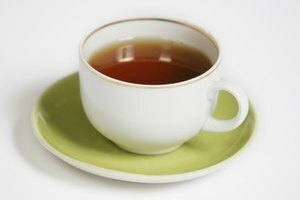 There is some debate over the amount of caffeine found in tea vs. coffee, and among the various types of tea. Much of the confusion stems from a failure to consider the amount of tea leaves or coffee grounds used to make types of tea and coffee beverages. Ounce for ounce, tea leaves contain many times more caffeine than do coffee beans. However, whereas 1 oz. 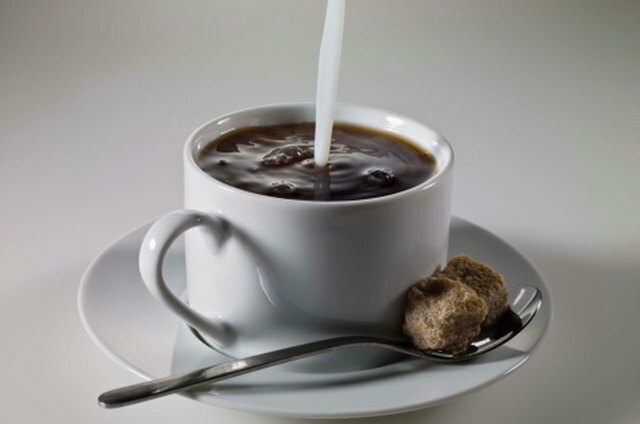 of coffee won't yield much more than 2 cups of coffee, an ounce of tea will yield as many as 20 to 30 cups, and that's assuming you don't go back for a second infusion. For that reason, a cup of tea almost always has less caffeine than a cup of coffee. Among teas, white is said to have the least caffeine and black the most. However, this may have more to do with the quantity and weight of leaves used. Because they are so much less processed, a tablespoon of white tea may weigh about the same as a teaspoon of black tea. 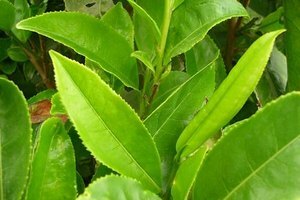 And less leaves (in terms of weight) are generally required to make a satisfactory infusion of white tea compared with green or black. As can be seen in the charts above, as a general rule, coffee has more caffeine than tea, black tea has more than green, and green more than white. But beyond that, there are many factors that can significantly affect actual caffeine levels. Michael Hall is a freelance musician with a wide range of extracurricular interests. He has led men's wilderness trips in Canada and worked on medical teams serving the poor in India. He has been a funds analyst for the National Institutes of Health and a Registrar for an online school. Currently, he plays principal horn with the National Philharmonic in Bethesda, Maryland. 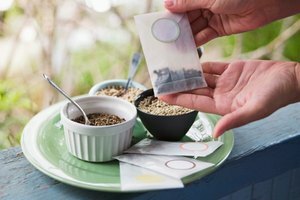 What Is Theanine & Does Yerba Mate Contain It? What are the Side Effects of China Slim Tea?